LOS ANGELES, CA: Los Angeles Attorney Douglas A. Crowder (http://crowderlaw.com) offers debt relief services to the public, including debt settlement, creditor “hold-off,” and bankruptcy. 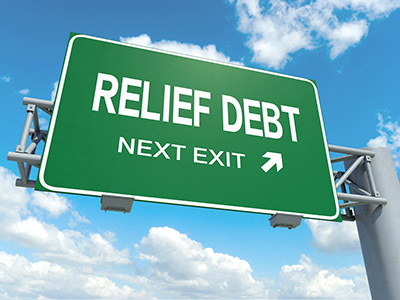 Crowder Law Center is a “debt relief agency” as defined by federal law. In addition to helping people avoid bankruptcy, their services also include helping people and businesses obtain relief under the United States Bankruptcy Code. Their practice handles all matters related to Chapter 7 Bankruptcy, Chapter 11 Bankruptcy, Chapter 13 Bankruptcy, and Debt Settlement and Reduction. Crowder Law Center has helped hundreds of individuals and businesses avoid bankruptcy or lawsuits by contacting their creditors and negotiating payment plans and/or settlements. Because they maintain good communication with your creditors, the creditors will often accept a substantial reduction on the amount a person owes. Debt Settlement is an option for someone who cannot afford to pay the full amount of their debt, but want to pay something toward it, while avoiding bankruptcy and continued creditor harassment. Crowder Law Center offers those being harassed by debt collectors some “breathing room” through the Fair Debt Collection Practices Act (FDCPA). In most cases, they can hold a person’s creditors off for a period of time, while the person finds a new job, reorganizes their business, or whatever else the person may need to do to find a way out of their predicament. The experienced bankruptcy attorneys at Crowder Law Center will discuss a person’s financial situation and advise them as to what options they have. They can handle Chapter 7, Chapter 11 and Chapter 13 bankruptcies. Not everyone qualifies for a Chapter 7. If a person qualifies to file a Chapter 7 Bankruptcy, they may be able to eliminate most, if not all of their debt. Most people who file a Chapter 7 are allowed to keep all of their property. Mr. Crowder has been practicing debt relief and other areas of law in California since 1989, and has been approved by the California Bar to provide Continuing Legal Education to attorneys (Provider Number 13474). Those interested in attending one of his seminars (attorneys and non-attorneys) can contact Mr. Crowder’s office at 213-325-3040, by email at dcrowder@crowderlaw.com, or on their website at https://crowderlaw.com.